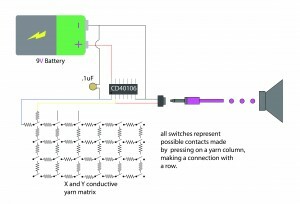 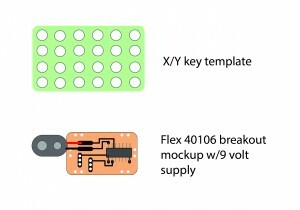 This swatch is a the end result of an how-to kit that creates a simple oscillator using a CD40106 IC. 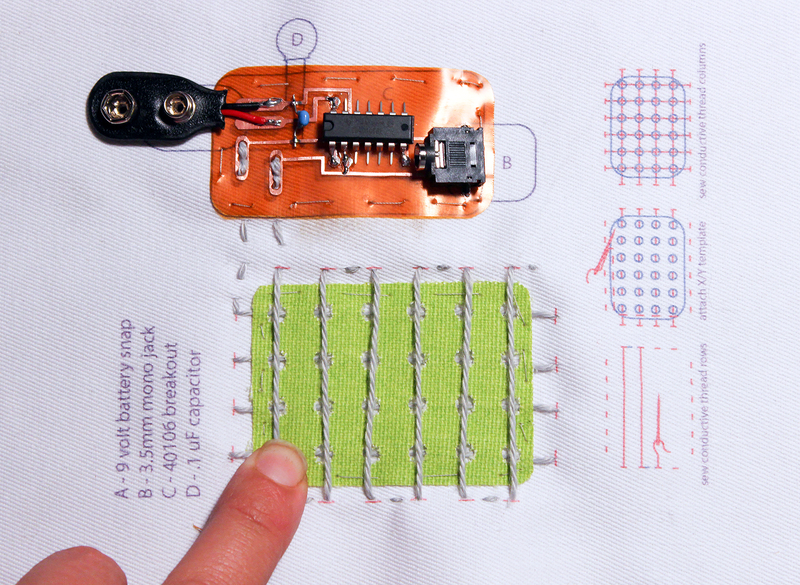 Through instructional prints on the fabric, the student is instructed on how to construct a X and Y matrix using conductive yarn with a template sandwiched in between. 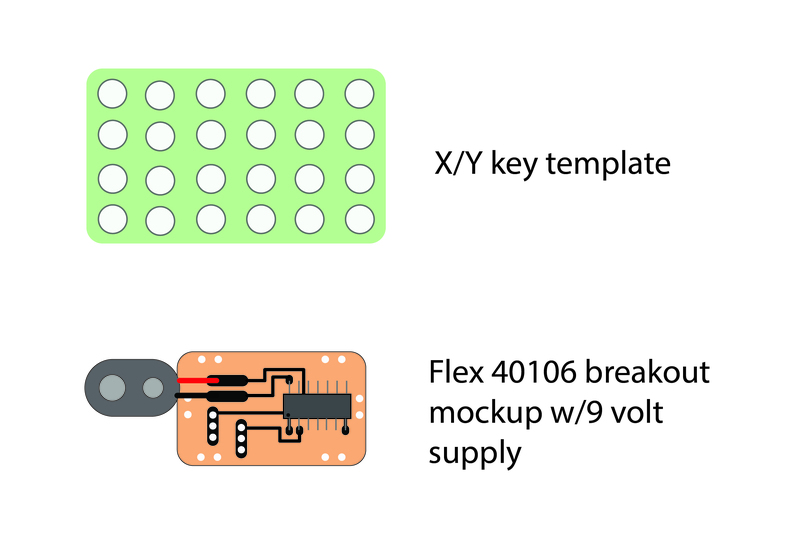 The template allows the intersecting columns and rows to make contact through pressure, creating a matrix of different resistances that translate to different frequencies. 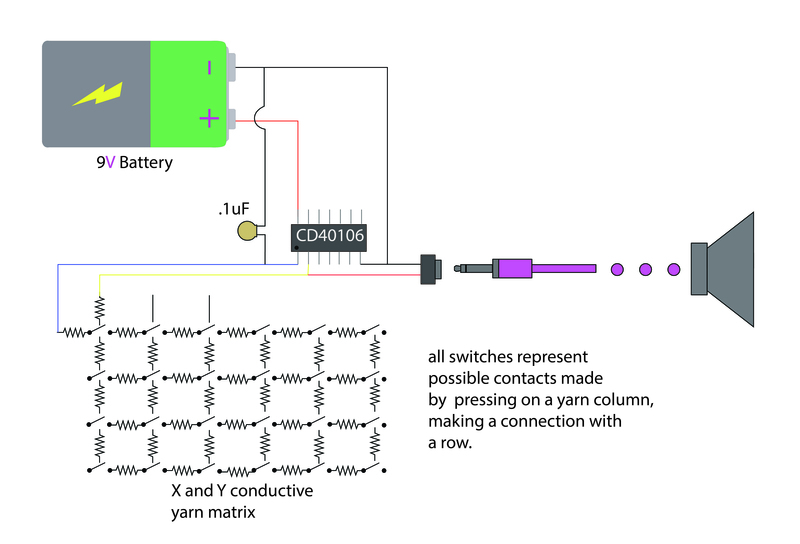 The student will learn where to place the battery snap, IC board, capacitor, 1/8″ jack and where to start and end each yarn row and column.